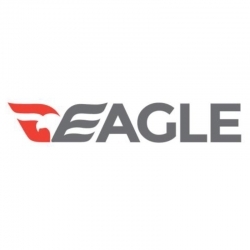 Eagle are a UK-based manufacturer focused on designing and producing innovative and cost efficient waterproofing roofing systems, structural waterproofing, and waterproofing membranes that have been engineered and tested to provide long term performance and fast installation. Eagle products are certified with CE mark, ISO 9001 and 14001, and at Rawlins Paints you will find an appropriate system for each application. Eagle Desmoplus is an additive to be mixed with Desmopol Liquid Polyurethane Membrane to improve application in one layer, eliminating air bubbles, increasing tensile strength, speeding up drying times, and allowing the membrane to be applied in low temperatures or adverse weather. Desmothix is a polymeric thickener developed for use as a liquid additive for Desmopol Liquid Polyurethane Membrane, applying to verticle or sloped surfaces to prevent the fall of membranes due to longer drying times. Eagle provide solutions to waterproofing on roofs and other surfaces, ideal for use on industrial and commercial structures for long-life performance and certified with CE mark, ISO 9001 and 14001.